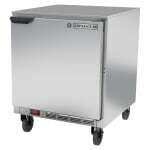 There are two epoxy-coated wire shelves in the Beverage Air UCR27AHC undercounter refrigerator. Its interior liner is made of aluminum, which is heavy duty and corrosion resistant. The door stays open past 120 degrees for cleaning the cabinet and stocking product. For user convenience and cold air retention, the door has a self-closing design. Temperatures inside the unit stay between 36 and 38 degrees Fahrenheit, and an internal thermometer makes it simple to monitor the temperature. 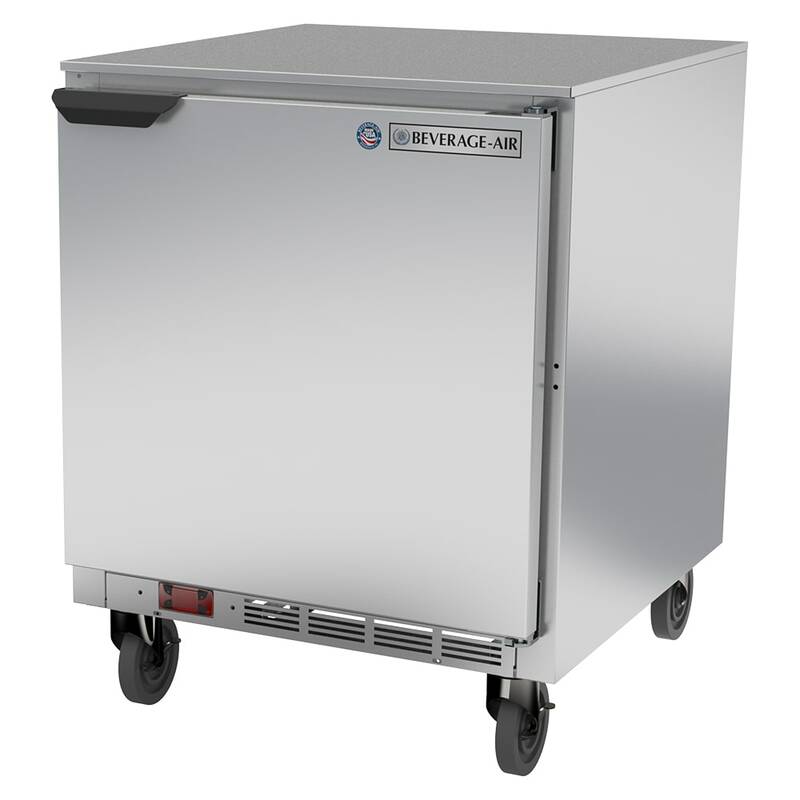 To maintain cold temperatures, the Beverage Air UCR27AHC undercounter refrigerator uses R290 hydrocarbon refrigerant, which is more environmentally friendly than traditional refrigerants.